Combining a fresh clean design with the beauty of Oak the Nagane Oak dining table represents Scandinavian design at its best. 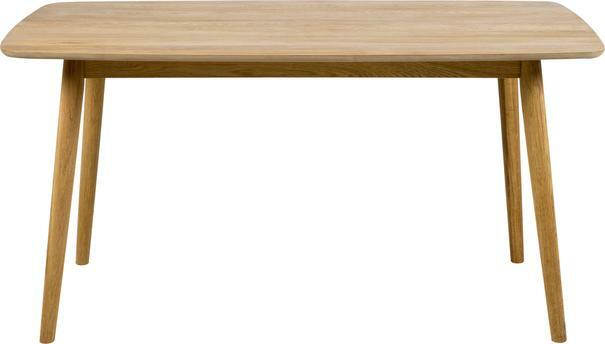 From the creative minds of Avalona the rectangular Oak veneered top of this stunning dining option features a tapered gently curving edge and is supported by a solid Oak frame. Both the top and frame are finished in a beautiful yet hard wearing lacquer. Available in two differing sizes, this table will comfortably accommodate upto 6 diners depending on the size of top you choose.